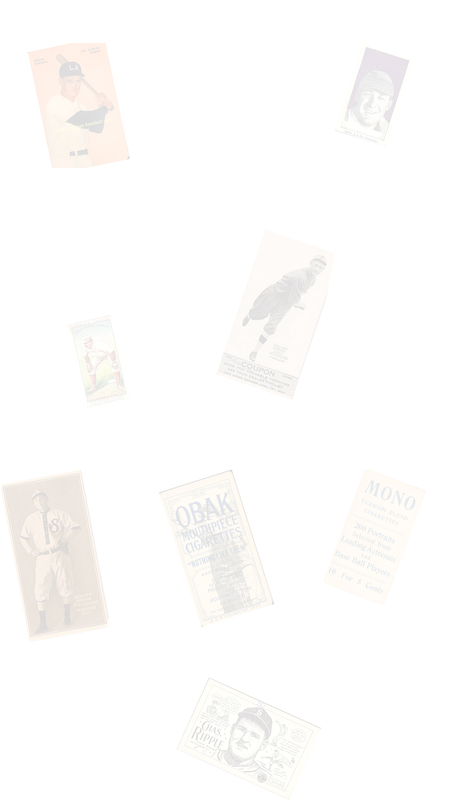 These unnumbered Sets consist of 5 of the 8 PCL Teams as a promotion. The Sacramento and Seattle teams are much more Rare. The cards are black and white and measure approx. 5-9/16" x 3-1/2" on thin stock. 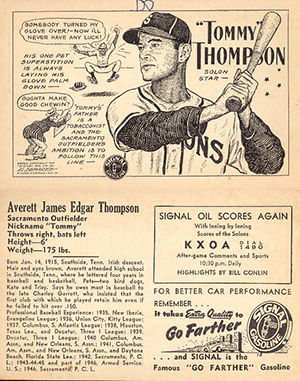 The front shows a drawing of the player and some personal and career highlites in cartoon form. The backs have Player Bios, an ad for Signal Oil and an ad for the co-sponsoring radio station.